Did you know that African-Americans and Latinos make up only 3-5% of the technology workforce, while white employees make up 71% of leadership, according to data aggregated by Silk? Or that women only represent 28% of workers in science and engineering, even though they make up nearly half of college-educated workers according to the National Science Board? The number of women with computer science degrees was actually rising until 1984, where it plummeted. The data speaks for itself. We know that our society, and the tech industry, needs to be more inclusive. 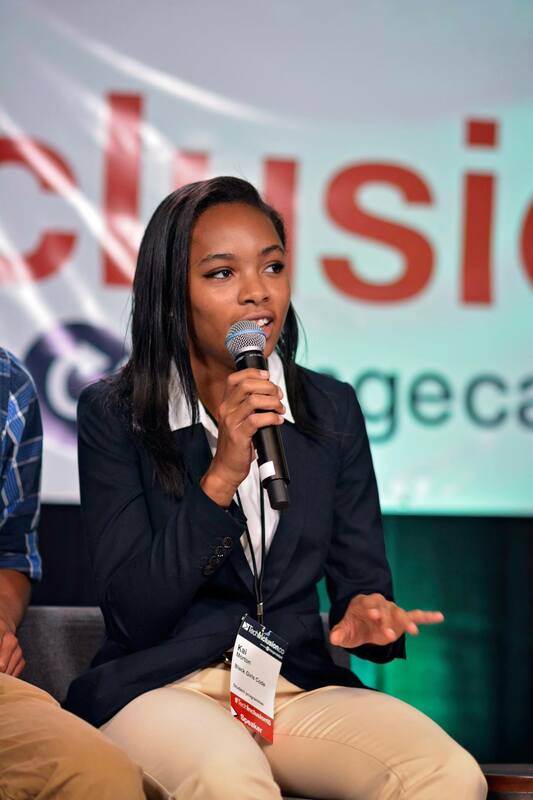 What better way to embed values of inclusiveness, than to start at age sixteen? Yes, sixteen. Youth are important members of our society and quick adopters of new technology. We believe that they can be champions of inclusion for future generations. Luckily, over the past several years, Silicon Valley has bloomed with new startups, nonprofits, and programs that involve more youth in STEM. Programs like Black Girls CODE, for example, enable young women of color to learn basic programming in languages like Scratch and Ruby on Rails. Another program, Hack the Hood hires, trains, and equips youth of color to build websites for real small businesses in their communities. To coincide with the increase of these initiatives and include youth in this important dialogue, we gathered an exceptional youth panel at the Tech Inclusion Conference. We caught up with two of our panelists, Gisela Kottmeier and Kai Morton. 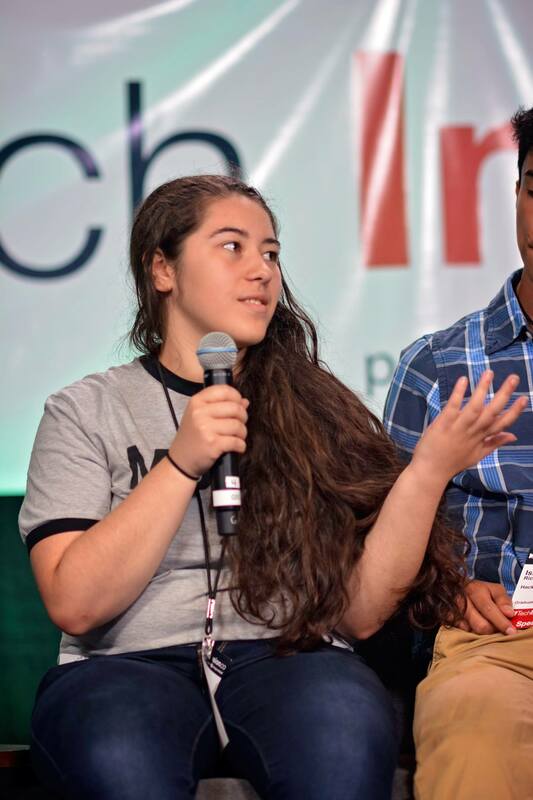 Gisela, a recent graduate from Lowell High School, is actively engaged in the coding community. Her accomplishments include completing programs with Square’s Code Camp, MissionBit, Make School, Hack Reactor’s Prep Class, and HackEDU’s Hack Camp. Gisela even developed a mobile app that is best played when on your daily commute. More and more youth looking for a hands-on experience to apply their education to practical applications are benefiting from coding programs. Mentors can play a vital role in spurring interest and opportunity for youth in STEM, while also beginning the conversation about inclusion. 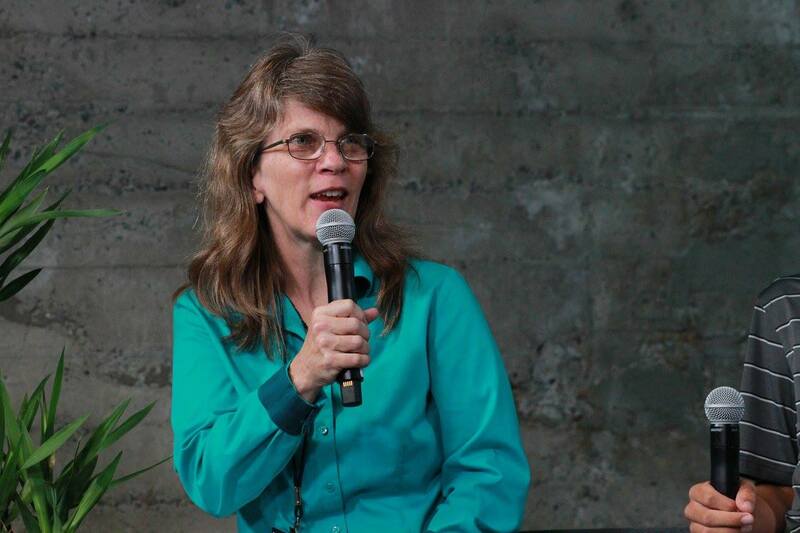 Dr. Mary Jean Koontz, Founder and CEO of STEMKids, who moderated the youth panel, Youth in STEM: Today’s Tech Leaders, shared that social inclusion is a big contributor. Dr. Koontz also indicated that the onus should not just be on youth. “Youth may be more attuned to collaborate with others at a younger age. However, it’s not just up to youth. Older adults have a responsibility to promote the cross-pollination of ideas and learning. How can everyone from a 14 year old to a 75 year old take conscious actions to broaden their own base of social inclusion? What can they do in their lives, everyday, to connect?” These are big questions, but not ones that should be ignored. Mentorship or project-based programs for youth at tech companies, or programs facilitated by nonprofits, could help encourage engagement with a more diverse community. Finally, our young panelists wanted to impart their advice to other youth who are not sure where to begin. Look into what resources may exist in your community or school. Just go out and get involved. Take it from our youth leaders. Start your journey in tech inclusion today. It’s not too late. Tune in to the conversation on Twitter at #Techinclusion15 for tweets from the conference.